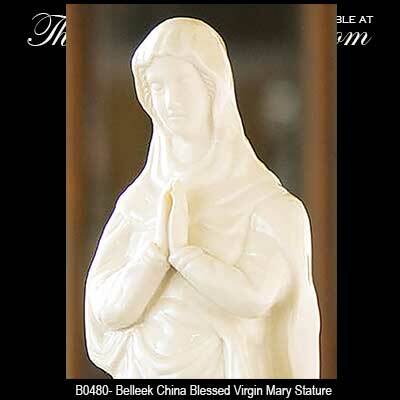 Belleek figurines range from the statuesque Blessed Virgin Mary to various animals and Irish symbols. 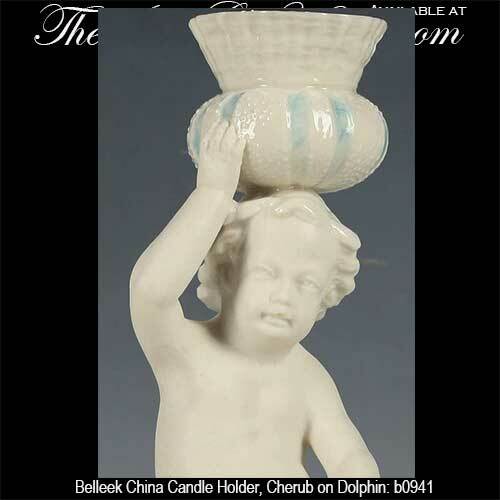 These Belleek China figurines are outstanding accomplishments in craftsmanship. 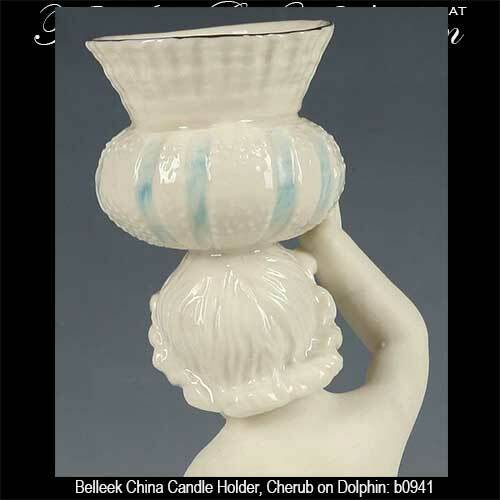 From its beginning in 1857 Belleek has been crafting figurines from their distinctive and unique fine parian china. Over time many of the Belleek figurines have been commissioned by heads of state and various dignitaries. 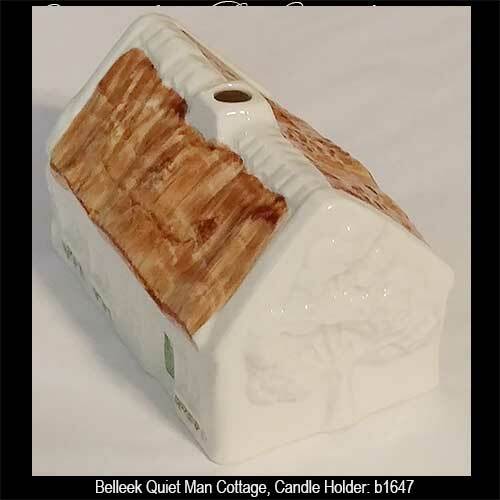 Additionally, many Belleek figurines started their journey by the banks of the river Erne in Ireland and have traveled to world expositions where they have won multiple awards. 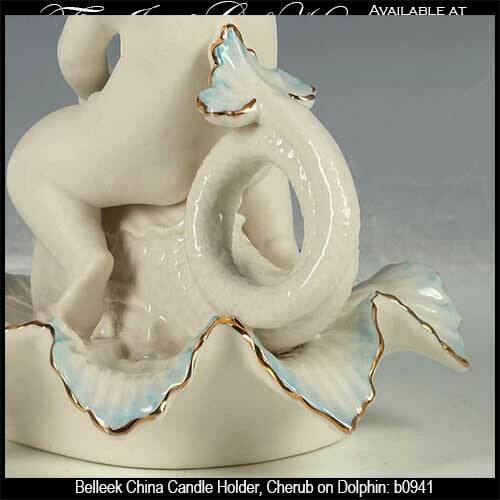 Belleek candle stick holder features a bisque porcelain cherub riding a dolphin. Belleek figure of a greyhound is crafted of fine Irish china. 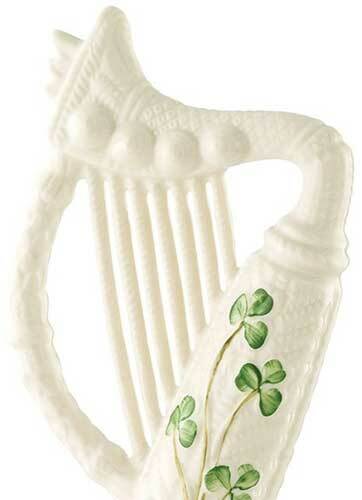 Belleek harp figurine features ornate embossed detailing along with hand painted shamrocks. 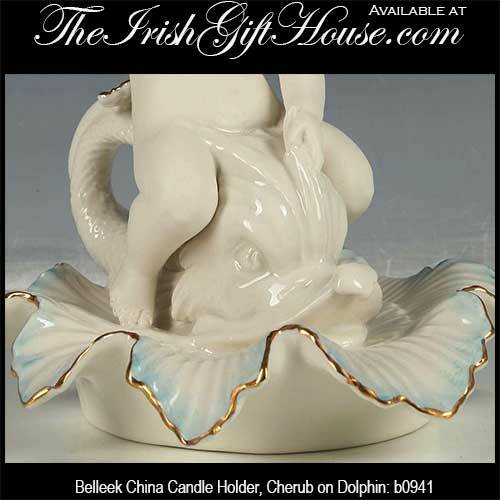 Belleek figurine is a fine china pig that is enhanced with pink accenting. We are sure that you noticed that Belleek China is often best paired with additional pieces, even if they are not of the same pattern. 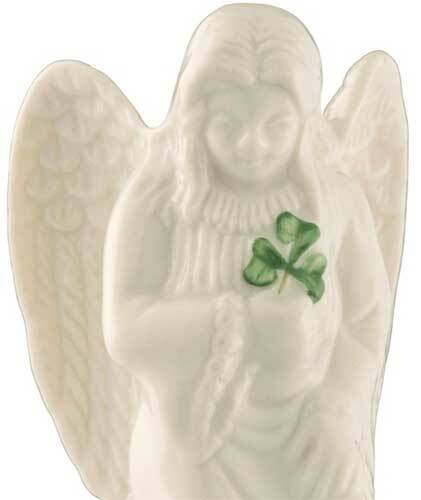 A Belleek lamp would complement this assortment of Irish figurines as both would enhance the decor of any home. 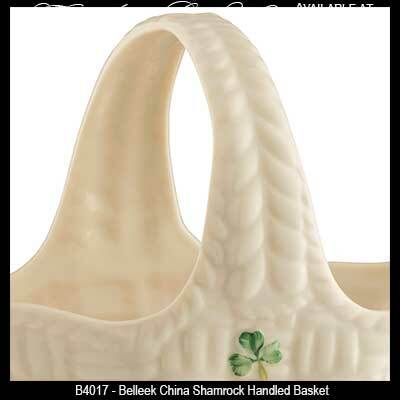 Maybe you would also wish to consider a Belleek pitcher frame with its hand painted green shamrocks or the Claddagh symbol to further enhance your figurine selection. 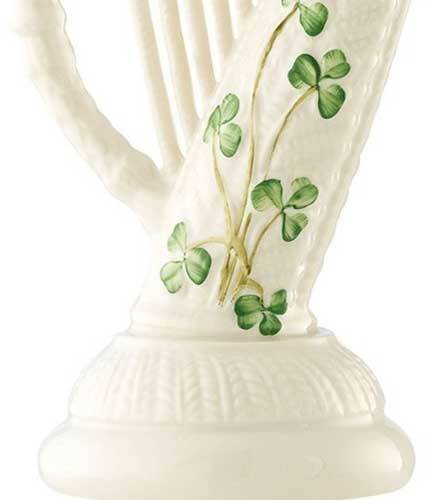 Some of the ultimate designs in Irish decor are the various Belleek vases that are ornamented with individually painted and applied flower petals or with the pottery's famous shamrocks; the same is true in reference to the renowned Belleek baskets with their multiple strands of intricately woven china. 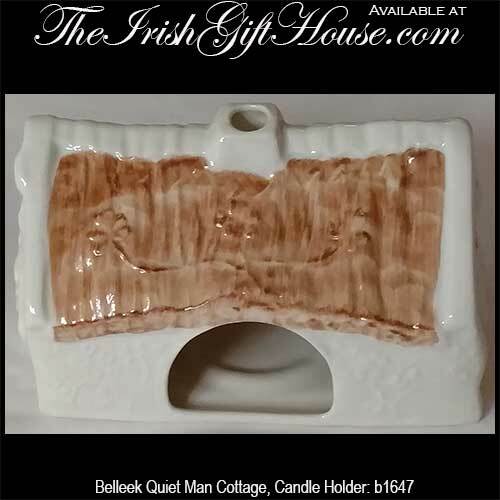 From Belleek ornaments to Belleek dinnerware, every sculpture and figurine is hand made by the banks of the river Erne in Co. Fermanagh, Ireland by the Irish artisans who make their home in this beautiful region of the emerald isle.